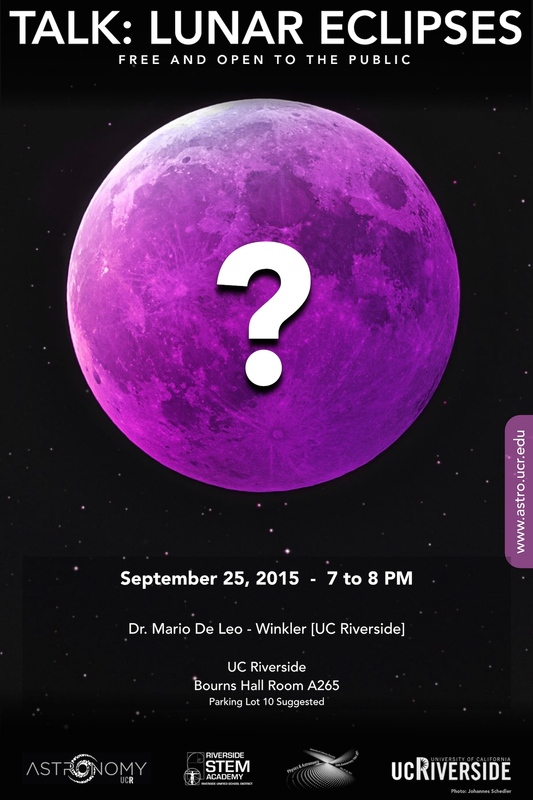 The last weekend of September 2015 the Physics and Astronomy Department at UC Riverside will hold several public activities to celebrate the last total lunar eclipse that California will be able to enjoy until the year 2018. 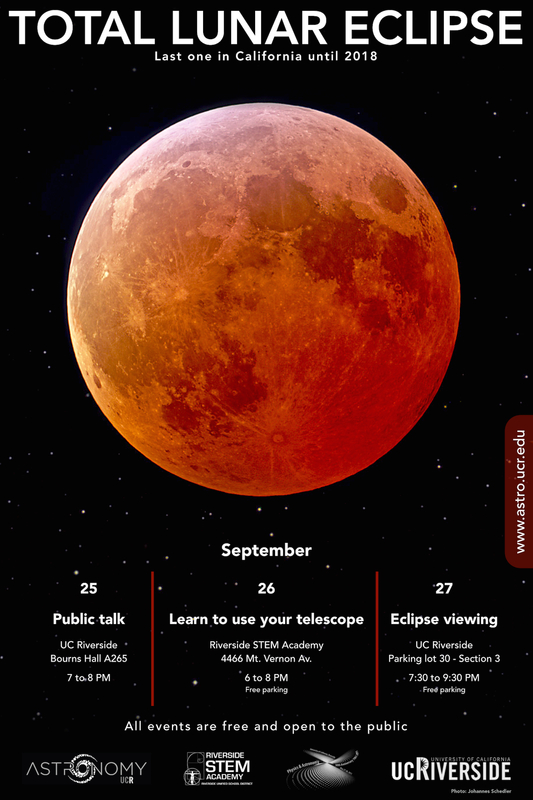 Know more about lunar eclipses in our bulletin and presentation (en español: boletín y presentación). 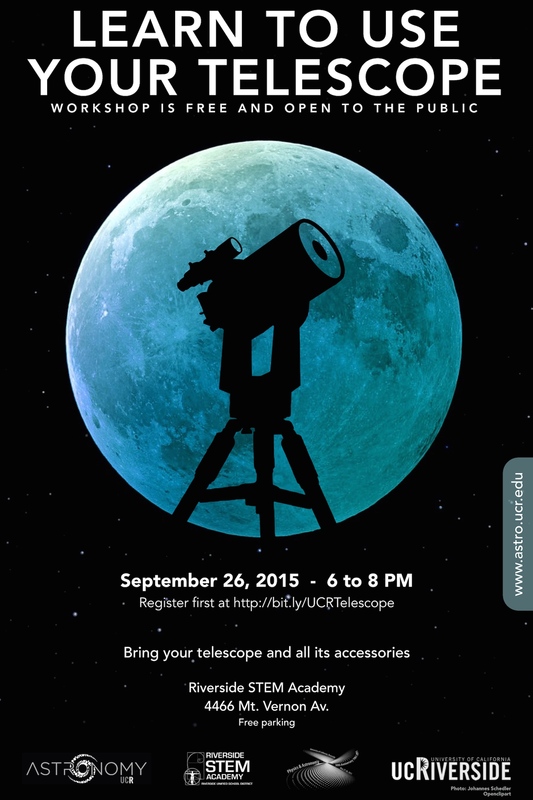 Remember they are perfectly safe to view with the unaided eye.